At Bluestein and Wayne, P.A., we treat our clients as individuals and work to determine each client's needs and goals. Our firm has been assisting clients for over 20 years in the various areas of family law. We take a unique approach to each case, ensuring our clients up to date information regarding their issues. Our attorneys are always available to listen to each client via face to face meetings, conference calls or e-mails. We work to fit each client's individual needs. To speak with one of our family law attorneys about your legal concerns, call 305-859-9200 or complete our online contact form. Our lawyers take a vested interest in each client's case. Regardless of your current situation, we have a lawyer familiar with what you are going through, one who is prepared to lend a helping hand and a sympathetic ear. Our clients are represented by experienced and successful attorneys every step of the way. You, as the client, are kept in the loop and have active involvement in your representation. We listen to your concerns and work to ensure each one is met. At Bluestein and Wayne, P.A. we know that no two family law cases are identical. You deserve a personal and compassionate lawyer to help guide you through the transition you are experiencing. Our attorneys are skilled at working with our clients to determine exactly what we can accomplish in each case. To speak with an attorney about your particular concerns call 305-859-9200. The firm employs Spanish speaking lawyers and staff. 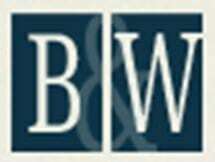 Bluestein, Wayne and Weintraub, P.A.